Our approach is different for a reason: you are working to become an expert in your field. To respect your dedication, our sites are built to equip you with the insights and connections to make the most of your career. We strive to only show professionals the right opportunities and companies the right talent to make recruiting more efficient. We are organizing the world’s talent by compiling the most current data in the most searchable fashion. Today, we apply these principles to technology and security cleared professionals, as well as the financial services and energy industries. 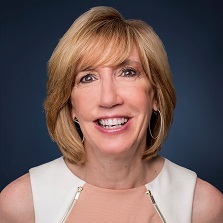 Pam Bilash is the Chief Human Resources Officer, previously serving as Senior Vice President of Human Resources when joining the Company in 2014 through its acquisition of onTargetjobs. Ms. Bilash brings the Company more than 25 years’ experience in talent management and in the information industry. 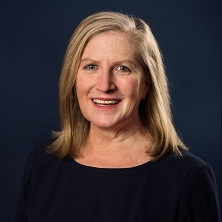 Prior to joining onTargetjobs in 2009, Ms. Bilash worked for Thomson Reuters in roles of increasing responsibility, culminating as Senior Vice President of Human Resources for the healthcare group and serving on their Human Resources leadership team, in addition to her executive duties. Ms. Bilash is a graduate of the University of Hartford. Christian Dwyer is the Chief Product Officer, joining the company in September 2018. Mr. Dwyer oversees the product strategy, development and expansion of DHI products including Dice, ClearanceJobs and eFinancialCareers. 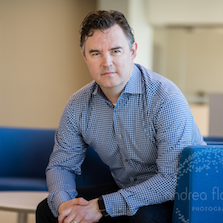 Prior to joining DHI, Mr. Dwyer served as the Executive Vice President of Product Management at HealthGrades, where he led product strategy, product development and business development across consumer web, mobile and native applications. 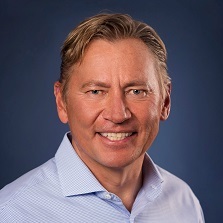 He previously served as Senior Vice President and General Manager at AOL/MapQuest, where he successfully repositioned the business for growth by establishing partnership alliances and scaling new products across web and mobile applications. Earlier in his career he held leadership positions at Navidec and Carpoint.com. Mr. Dwyer serves as a board member for the Colorado Technology Association. He earned an M.S. in Finance from the University of Colorado at Denver and a B.A. in Business Economics from the University of California at Santa Barbara. Paul Farnsworth is the Chief Technology Officer, joining the Company in February 2019. As an experienced leader with a strong focus on technology driving business objectives and a demonstrated track record of delivering excellence in software development, Mr. Farnsworth has served in a number of senior management roles over his career helping implement digital strategies for companies ranging from small growth companies up to global multinational enterprises. 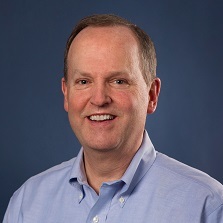 Prior to joining DHI, Mr. Farnsworth served as Chief Technology Officer at Reed Group, where he was responsible for all aspects of technology delivery and support including; product software delivery, end user environment support, hosting, vendor strategy, client professional services and enterprise program management. 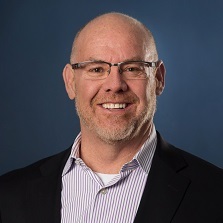 Earlier in his career he was the Senior Vice President of Information Technology at Level 3 Communications and held roles of increasing responsibility at Qwest Corporation prior to its acquisition by CenturyLink. He has served as a board member at various startup and growth companies, advising on technology best practices and future roadmaps. He has lived and worked in Europe, India and the United States. Luc Grégoire, CPA-CA [Canada], has been Chief Financial Officer since joining the Company in November 2016. He has responsibility for the Company’s financial organization, including financial and strategic planning, corporate development, accounting, financial reporting, investor relations, treasury, internal audit and tax, as well as the Company’s legal organization. 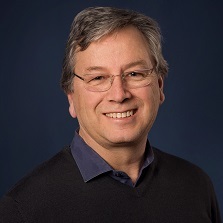 Prior to joining the Company, Mr. Grégoire served as the Chief Financial Officer at AvePoint, Inc. which he helped steer to a SaaS business model. 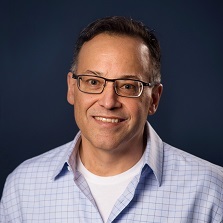 Earlier in his career, he held senior finance roles with Take-Two Interactive, McGraw Hill and Merck, and had been a partner with Arthur Andersen. He also serves on the board of a private New York-based residential real estate company. He graduated from Concordia University with a Bachelor of Commerce degree and holds a Graduate Diploma in Public Accountancy from McGill University. 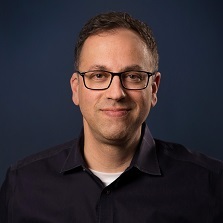 Evan H. Lesser is the Founder and Managing Director of ClearanceJobs, the leading Internet-based career network dedicated to security-cleared professionals and employers. Since the launch of ClearanceJobs in 2002, Mr. Lesser has been a principal source of information, insights, data, and unique analysis on the defense, homeland security, and intelligence industries. For ClearanceJobs, his commitment to continuous innovation saw creation of The Cleared Network, the only online platform dedicated to secure networking between cleared professionals and employers. Before founding ClearanceJobs, Mr. Lesser managed technical projects with CACI for the U.S. Navy's Science and Technology directorate at the Pentagon, and for the Joint Technology Panel on Electronic Warfare. Previously, he worked for Boeing on its Reserve Component Automation System program for the U.S. Army in metro Washington, DC. Positions with the U.S. Department of Defense and its contractors, coupled with a broad information technology background in software development and training gave Mr. Lesser the knowledge and experience necessary to launch ClearanceJobs.com and its former parent company, Immedia Technology Group, Inc. Mr. Lesser has a degree in Philosophy from the University of Georgia in Athens, and lives and works in the Atlanta metropolitan area. 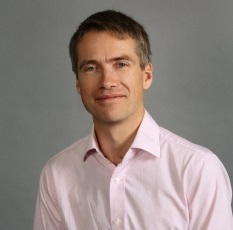 George McFerran is the Managing Director of eFinancialCareers. Previously he served as EVP of Product & Marketing and before that led Customer Engagement for the Global Industry Group within DHI. Mr. McFerran joined eFinancialCareers in 1998, holding a number of senior positions including Marketing Director until leaving in 2004. From 2004 until 2006, Mr. McFerran worked at financial market intelligence leader Standard & Poor’s as EMEA Marketing Director for the company’s Data and Information Services business. In 2006, Mr. McFerran rejoined eFinancialCareers as the Sales & Business Development Director for Singapore & Hong Kong. After setting up the Singapore office, Mr. McFerran worked on expanding the business in China, and became Managing Director for eFinancialCareers for the APAC region. He moved back to the UK office in 2014 as Sales & Marketing Director for the global eFinancialCareers business. George was also part of the team that launched the original eFinancialCareers website in London prior to DHI’s acquisition of the company. Mr. McFerran holds a BA (Hons) in History from University of Newcastle upon Tyne. Ian Shepherd is our Chief Revenue Officer. His responsibility covers driving the growth agenda for the company strategy and leading direct and indirect sales globally. Mr. Shepherd has an extensive history of leading global sales operations at a number of SaaS-based and public companies including Cognos, DataMirror/IBM and Oracle. Prior to joining DHI, he was the Senior Vice President of North American Enterprise Sales at Monster Worldwide. Mr. Shepherd holds a B.A. degree in economics from the University of Manitoba. Art Zeile is the President and Chief Executive Officer of the Company and also serves as a director. Prior to joining DHI, Art co-founded HOSTING, a cloud computing services company, and served as its Chief Executive Officer from 2008 until 2016. At HOSTING, Art formulated a strategy for a rollup of cloud services companies in the U.S. and focused on managing security and compliance for mission critical web applications. Earlier in his career, Art served as CEO of QTC Management Inc, a healthcare technology company, from 2006 to 2007. Prior to joining QTC Management, Art co-founded Inflow Inc., a public data center company, and Link-VTC, one of the first companies to deliver videoconferencing services. Art earned a bachelor’s degree in Astronautical Engineering from the U.S. Air Force Academy and served in the United States Air Force from 1988 until 1993. Art also received a master’s degree in public policy from Harvard University. The DHI-DFH Mean Vacancy Duration Measure was 27.9 working days in December 2017. The DHI-DFH Recruiting Intensity Index was 1.04 in December 2017. DICE (originally named Data Processing Independent Consultants Exchange) begins operations in the San Francisco Bay area. We are available only to technical contractors and recruiting, staffing and consulting firms. We transition to the World Wide Web and adopt the Dice.com URL. We open the career site to direct hiring companies while continuing to serve the recruiting and staffing industry. We are acquired by EarthWeb, a publicly traded firm in New York City. The parent company changes its name to Dice Inc., reflecting the importance of the Dice business to the company. In April, Scot Melland joins the company as President and CEO. We complete financial restructuring and go private. In September, we acquire ClearanceJobs. In January, we acquire Targeted Job Fairs. In August, we are acquired by Dice Holdings, Inc., which is owned equally by General Atlantic LLC and Quadrangle LLC, private equity firms in New York City. In October, we acquire eFinancialCareers through the purchase of eFinancialGroup Limited. In July, we complete initial public offering and our stock begins trading on the New York Stock Exchange under the ticker symbol DHX. In June, we acquire AllHealthcareJobs. In May, we acquire WorldwideWorker. In August, we acquire Rigzone. In August, our Board of Directors authorizes our first stock repurchase plan. In January, WorldwideWorker and Rigzone are combined into one service under the Rigzone brand. In September, we acquire Geeknet's online media business, including Slashdot, SourceForge and Freecode. In October, we acquire all of the issued and outstanding shares of WorkDigital Limited, a technology company focused on the recruitment industry. In July, we acquire outstanding shares of Jobboard Enterprises Limited, the corporate entity of UK-based The IT Job Board®. In September, Michael Durney is promoted to President and CEO. In November, we acquire onTargetjobs®, including HEALTHeCAREERSTM, Hcareers® and Biospace®. In March, we acquire OilCareers. In March, OilCareers and Rigzone are combined into one service under the Rigzone brand. The parent company changes its name to DHI Group, Inc. (“DHI”), representing the evolution of the Company into a diverse portfolio of specialized websites and services that serve targeted constituents and are unified under one corporate umbrella. In January, we sell Slashdot and SourceForge (together referred to as “Slashdot Media”).